dco: ACID Pro 6.0 manipulations of sounds produced by paper (including The Guardian Travel pages to make the sound go just that extra bit further), card, sand paper (3M P180 & P120), various cardboard tubes, and a home-made papier mache replica of a Green Bay Packers football helmet. Minor noise reduction to reduce cheap-mic-induced hiss (wherever possible); elsewise, no effects or processing utilized. This was the first track that i heard and it is most reminiscent of living in the bush, the back waters of Kerala or other jungle settings. here the spheres are alive with winged creatures gathering food, moving broad leaved foliage, hamock dreamers, and weavers of palm fibers. thank you for this rhythmic solitude. all sounds generated with nothing but paper and treated with granular synthesis. I created a number of single tracks using specific paper sounds and suitable specific granular synth treatments and mixed them in Adobe Audition. Sound library recorded at The Clinic studio, near Cologne, Germany, February 2005, as part of a Red Bull Music Academy 'Paper Music' project to support the Hangar-7 'Masters of Origami' exhibition. No sound has been electronically manipulated. 'Chuddies' are mens' underpants/shorts. 'Stealth' recordings from a public library in Eskilstuna, Sweden. Recorded at various dates in November 2006. Equipment: Edirol R-1 recorder with internal stereo mics hid in a bag. Live samples were recorded with an ATR50 run through a Fostex mixer and an Edirol USB interface. Recording, looping and effects were all done in Logic 7.2 on a Mac G5. All samples were from a single sheet of paper with the exception of one sample where the entire paper stack was dropped. The sheet was "played" by rubbing on end against the other, pulling it from a folded position, tearing the paper and finally crinkling it. Recorded using K&K Hot Shot and Big Shot contact mics, Z-Vex and Moog moogerfooger effects, looper pedals (Akai Headrush E2, Boss RC-20 & RC-20XL, Digitech Jamman). Sounds produced using five Tarot and other oracular / divinatory decks: Aquarian Tarot, Thoth Tarot, Faerie Oracle, Vertical Oracle, Archeon Tarot. I went to a stationery shop and selected a wide variety of paper: different weights and textures. Then I recorded a variety of "paper noises," such as folding, crumpling, ripping, etc. I recorded them while listening to a metronome on headphones, which rapped out 120 beats per minute. I wanted the piece to have some rhythmic structure. I've been listening to the music of Varese and I suppose that was my main inspiration. The paper noise recording was put through Acid Pro's Chopper where I created various selections, snippets, and a few loops. Once satisfied with the concatenated "final track" I duplicated it twice and applied different impulse responses (using Acoustic Mirror) to each copy, then panned each one 50% left and right, respectively. The original track remains in the center channel, with just a touch of reverb. I wanted the composition to be slightly harsh, or "industrial," yet still have the subtle timbre of paper. 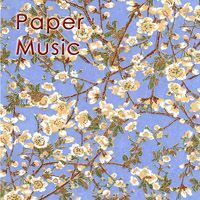 For this and much more "non-paper" noises, go to my website @ http://www.heavyconfetti.com. All sounds sourced from one recording session with Elizabeth & Vicky Silvester , they helped make noises using paper, cardboard, magazines and books. Then I've worked on said recording until I felt comfortable enough to release it into the open world! Various paper samples taken from the Jackson library, plus others recorded direct onto the PC. The samples were arranged and effected using Ableton Live. This is just exquisitely beautiful to me. Thanks for making this piece of music. I just love the paper textures, being a great fan of glitching, slicing, distorting and , otherwise, 'smearing' sound.